Hello all! Glad to be here and hope to be of help to a lot of folks in the future! Here's our current inventory / price list. If anybody would like to see pics of anything in particular, please just let me know and I'll be glad to provide! Fastest response times will be via email or Facebook PM. Addresses are below! All ITAR regulations followed. If you are outside of the U.S. or are not a U.S. citizen, please don't bother. No factory warranty. Last edited by Sheepdog Gear; 01-27-2017 at 08:52 PM. I rarely, but sometimes do get some used ones in. I'll post them up here for sure if I do! I do run a TA31RCO on one of my multiple "life and liberty" rifles. The rest run CompM4s or CompM4 as I feel the ACOG is actually a bit overspecialized. I have a TA01 on my main M4 and a TA33C on my FNC and I love both. I really do love ACOG's. BUT, if I knew I were heading into a gunfight tomorrow, an Aimpoint would be going with me. Reasons? Always curious. I like a little magnification and the eye box is pretty good on the the 33 IMO. I love my holosun especially for the price but on a midrange gun 3 or 4x mag and light weight would be nice. Then again I've not been in a gunfight nor do I intend to be. Combat matches and a few classes have taught me that I only need 2 sighting systems for run and gun (simulated combat scenarios). TA33 for most rifles, and Holosun 503 series for pistol caliber / 300blk SBRs and shotguns. If used correctly, with both eyes open, the ACOG will function like a red dot. One eye sees the dot and the other sees the target, then your brain combines the images. I have used my TA33 effectively at 50 yards with my flip caps closed (clear rear, black front). 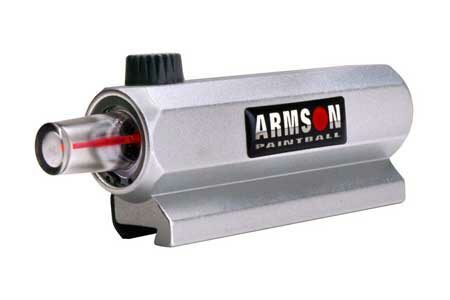 It's just like the Armson Prodot sight from back in the day. Just simply because I have use both in drills where I timed how fast I can get on target in a CQB situation. I've tried the different techniques with the ACOG, but am still faster with the Aimpoint. I'm sure if I practiced more with the ACOG close up, I can get there. I guess I should've clarified. If I we're heading into battle AROUND MY HOME, the Aimpoint would be going with me. If I knew I'd be heading into a more open situation, then yes. It'd be the ACOG. The used M145 has my attention. Can't justify the purchase though (although that's an amazing price). Ugh. I'll most likely have them if / when you're ready. For future reference, Item name before condition is a much easier format to read. Noted. I'll fix it tomorrow. Thanks! Excellent. The weekend is coming where I make most of my expensive drunk purchases. At least I can read it now. Thanks for the tip! I really didn't even think about it.